This is my second time making these. I realize now that my chef teacher at the Natural Gourmet Institute for Food & Health has called these crackers/ chips. When we made them in the Living & Raw Food Intensive- they were like thin crackers- almost chips. I have not yet achieved that state with mine. 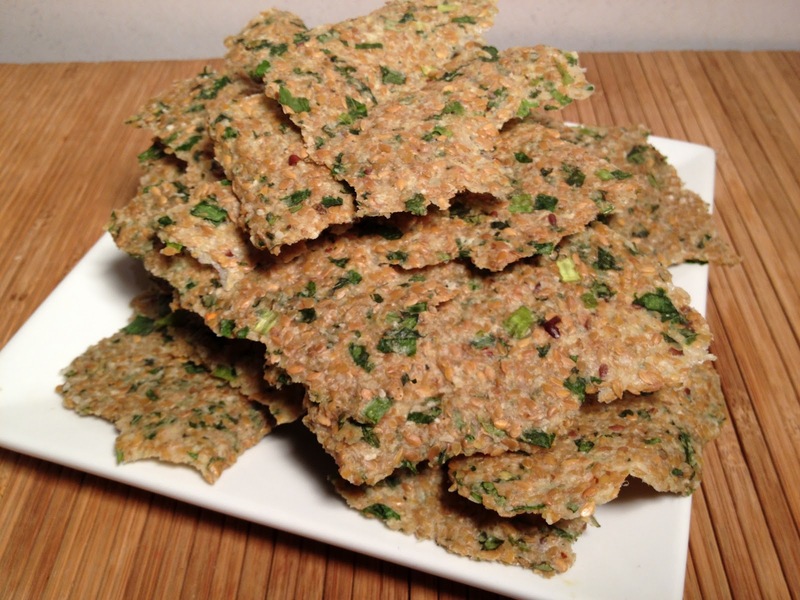 The ones I made are definitely crackers but I would love to get them just a little thinner and crisper. Anyway, these are still delicious! I steeped the lemongrass tea bags and let them cool. I used green tea lemongrass which seemed to work well both times. I mixed the dried coconut, coconut meat and cooled tea in a food processor/ blender. Combine this coconut tea blend with the other ingredients in a large mixing bowl. Let the mixture thicken for 10 minutes. 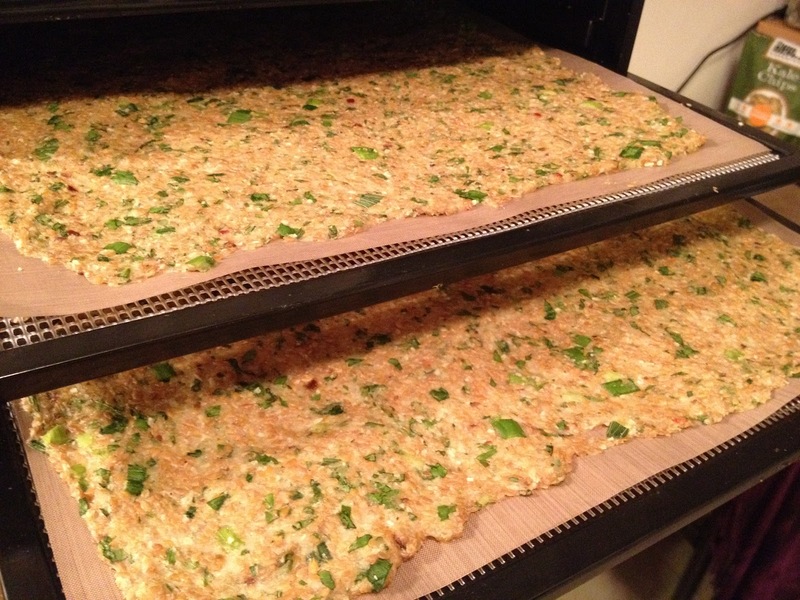 Spread this onto 3 dehydrating sheets at 112 degrees for 12-20 hours. *I’m beginning to skip too many days and I have too many excuses now. Skipped blogs 249-255; I did have my last final though yippie! Finished my diploma program at American College of Healthcare Science: Holistic Health Practitioner! That’s the good news. The other news is– I have to reconnect with this blog if I am going to finish it. I am living each experience and instagraming away and then too many days pass and I don’t want to go backwards to write. I need someone to invent INSTABLOG haha! I’m bummed for you guys that I didn’t write about Gingersnap’s Organics or Candle Cafe West. Yummy on both parts!